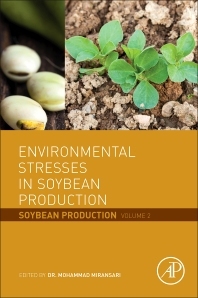 Environmental Stress Conditions in Soybean Production: Soybean Production, Volume Two, examines the impact of conditions on final crop yield and identifies core issues and methods to address concerns. As climate and soil quality changes and issues continue to manifest around the world, methods of ensuring sustainable crop production is imperative. The care and treatment of the soil nutrients, how water availability and temperature interact with both soil and plant, and what new means of crop protection are being developed make this an important resource for those focusing on this versatile crop. The book is a complement to volume one, Abiotic and Biotic Stresses in Soybean Production, providing further insights into crop protection.